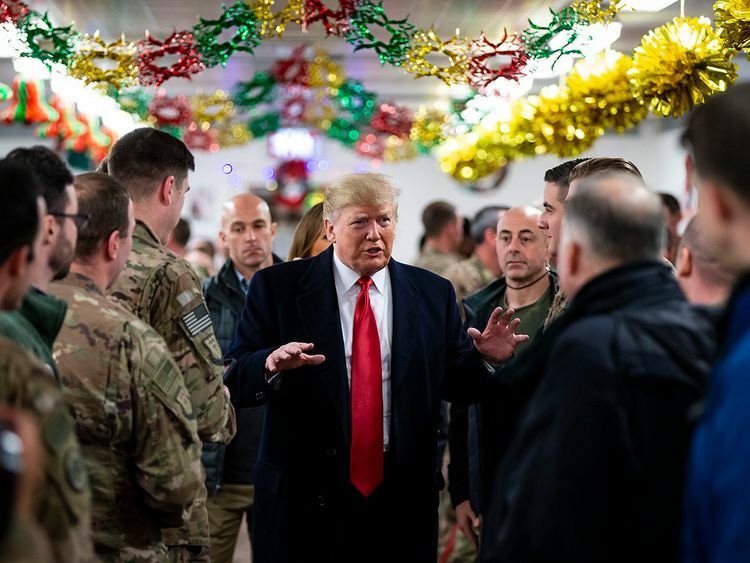 Baghdad - Iraqi President Barham Salih said on Monday that President Donald Trump did not ask Iraq's permission for U.S. troops stationed there to "watch Iran." Speaking at a forum in Baghdad, Salih was responding to a question about Trump's comments to CBS about how he would ask troops stationed in Iraq to "watch" Iran. Trump said it was important to keep a U.S. military presence in Iraq so that Washington can keep a close eye on Iran "because Iran is a real problem," according to a CBS interview broadcast on Sunday. "Don't overburden Iraq with your own issues," Salih said. "The U.S. is a major power ... but do not pursue your own policy priorities, we live here." Iraq is in a difficult position as tensions between its two biggest allies, the United States and Iran, increase.